Sold by the 10 lb block. Gray Green color, medium hardness. Chavant Professional Plasteline is the original sculpting clay formula developed by Mr. Claude Chavant in 1892. The basic formulation of Professional Plasteline has not changed very much during the past 100 years. It is a sulphur-based clay body that is pliable at room temperature. It is available in only one grade of firmness. Fantastic sculptural works have been achieved using these products. 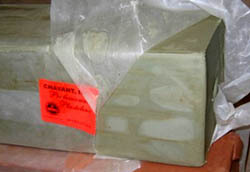 Professional Plasteline is one of the softest clays Chavant produces. The sulphur filler gives this clay a silky feel appreciated by many artists. The clay has some amount of length but is susceptible to cracks when armatures move under the weight of the clay. Professional Plasteline is available in Gray-Green. 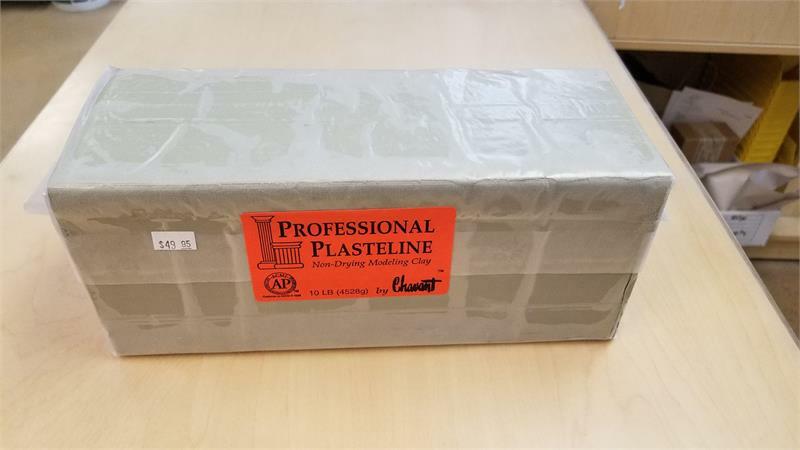 Professional Plasteline is most commonly used by artists for the creation of sculpture and is often used to fill cracks in industrial patterns or to build dams when making splash molds.